"A blog is neither a diary nor a journal. Many people think of blogging in relation to those two things, confessional or practical. It is neither but includes elements of both." As many of you know, I started blogging because I wanted a way to document the skills and knowledge I was acquiring in the hopes of helping young people, and/or career transitioners wanting to get into digital marketing, learn from my journey. I started writing about certifications I was taking, digital marketing tools and software, essential topics in the field, and my personal favorite - features of marketers. Being able to produce and share content with you would have been almost impossible without the awesome people who have crossed paths with me, and the blogging tools I have picked up along the way. So today, I want to share some of these tools with you. 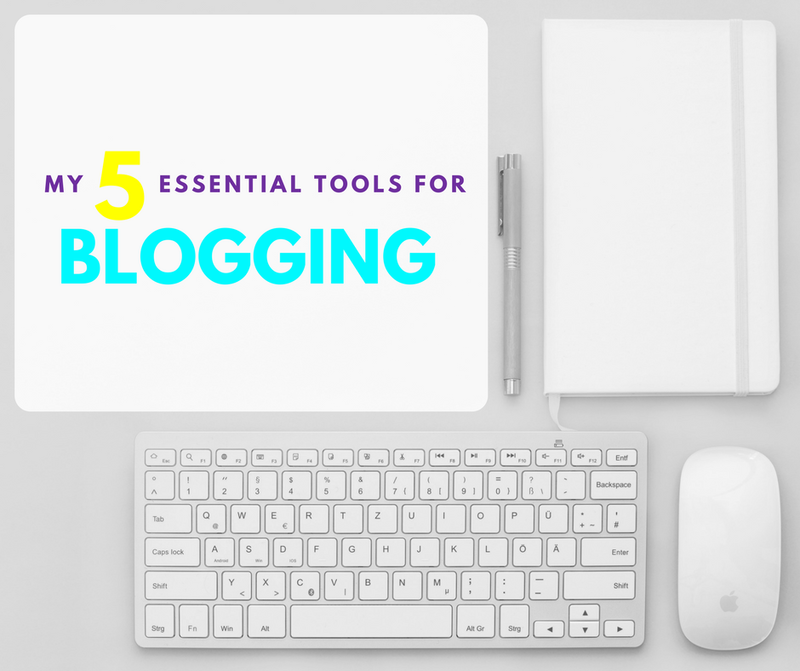 Here are my 5 go-to blogging tools I live by, and a couple of additional tools that cover the basics of content planning and creation, design, copywriting and editing, and promotion. I have added a bonus tool at the end! Blogger is the content management system (CMS) I have used for the past two years to store and publish content on the blog. It also hosts my website. Once I decided I wanted to start the blog, I chose a template, personalized it, decided on a domain and bought it through Google domains for $12 a year. Blogger allows you to preview your posts to ensure that everything looks as it should. You can write posts and save them for later, schedule posts to publish on a specific day at a particular time, or tag them as part of a series. You add photos, link to other blog posts on your site or external links. You also have access to stats to see how many times each of your posts were read, your readers' geographic locations, how they found your site and what kind of device they used. Blogger is very easy to use, and I would recommend it for people are starting out with blogging. If you know how to code or have someone who can help you with code, you can access more out of the layouts and templates. Some other content management systems for blogging and creating websites are WordPress, Squarespace, Wix, and Weebly. Early on this journey, I learned that every blog post needs good images and graphics to attract readers and present the ideas. Not having the budget to pay for some of the other products I have heard people use in the past, I did some research to see what low cost or free options existed for image editing and graphic design. I came across Canva and the rest is history. As a D.I.Y blogger, I design a lot of my own graphics and edit my own images. If you create (or are interested in creating) your own images and graphics, Canva is an excellent choice, for both novices and experienced designers. Canva is easy to use. It comes with existing designs and templates, and you can also design your own graphics from scratch. You can use photos and icons from Canva's image bank or upload your own. You can use most of the functionalities for free, but the paid version gives you access to more photos and the ability to save pictures in .png format with no background. You can learn more about Canva, in this blog post. I use Microsoft Excel to create an editorial calendar to help me plan out content for each post. I tend to plan for about 5 weeks of material at a time and target to fit in one to two posts a week. I think of potential titles, topics, keywords, target audience or personas, which links to include, what elements are needed to complete the post, publish date and how I will promote the blog post. The spreadsheet I use is a modified version of a free calendar I found on HubSpot's website. They offer advice on how to use it as well as additional tools and calendars. 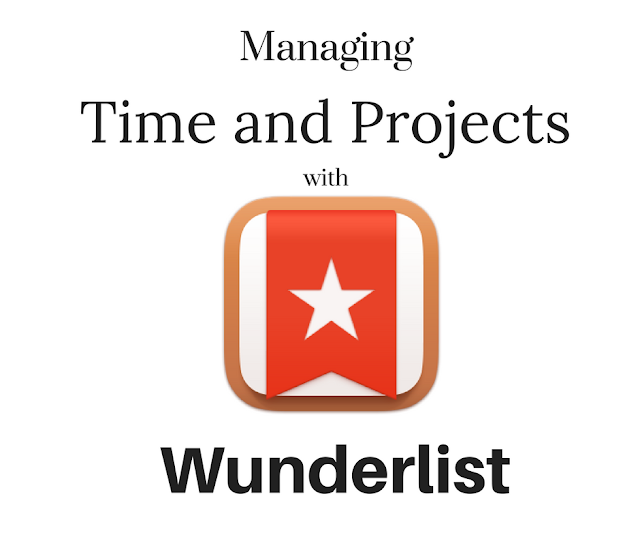 Once I plan the content out, I use a free project management tool called Wunderlist to track my progress. Wunderlist allows you to make lists of projects, add to-dos to each list and then add subtasks for each to-do. In addition to subtasks, under each to-do, you can also put in a due date, a reminder, and add notes, comments or files that are essential or beneficial to completing the tasks. You can check-off subtasks as you finish them and/or complete a to-do when a particular project is done. You can invite others to collaborate with you on projects. They have a freemium model so you can pick which model works best for you and your team. You learn more in this post I wrote about Wunderlist. I think it is safe to say that we could all use a little help with our grammar and making sure we didn't drop a word here or there. I am fortunate enough to have a writer and editor for a sister, who helps me with my writing when she can. Before she takes a look at my work, I like to send her the best version I can, which is why Grammarly is so helpful. Grammarly is an application that acts as a grammar and spell checker. It is widely agreed that the application corrects more errors than most word processors and can help you avoid embarrassing mistakes in emails and on social media. Grammarly has a grammar checker, a spell checker, a plagiarism checker and a proofreading tool. The app can help you eliminate errors, enhance clarity and meaning, and become a better writer. The app's algorithms allow it to find the mistakes and suggest changes, propose synonyms for overused words, and questions your choice to write in the passive voice, among other grammar issues. The company also operates on a freemium model, and you can learn more about Grammarly in this blog post. In addition to the email notifications, I use various social media platforms to promote new posts. I use Facebook, Twitter, LinkedIn, Google +, and Instagram in varying degrees. For Facebook, I use both my private account and the Facebook Page I created for the blog. It allows me to reach a broader audience, mainly when I feature someone that friends know or talk about a topic in marketing they are interested in learning more about. Using LinkedIn helps me connect and share the content I create with my professional network. I am also able to tag the marketers I feature or companies I am writing about, which helps me appear in more feeds. A lot of my Twitter followers are marketers and small business owners, so my articles tend a get a lot of traction there as well. Relevant hashtags and tagging companies on this platform help expand the reach of my blog. Instagram is the platform I use the least for article promotion, but if I feel I have a really catchy graphic as the feature photo or think it is an article that will relate to my followers there, I'll post it on Instagram. It is a perfect platform for bloggers who have excellent photo content and/or relevant hashtags they can use for the topic. Facebook has a publishing tool, but the rest of the platforms don't at the moment. If you are able to plan your promotional posts in advance, you can use publishing software, Hootsuite or Buffer for scheduling. They have both free and paid options depending on the volume of posts per month and any added features you may need. You can use Capitalize My Title to ensure that your blog titles and subheadings are capitalized in the right way. It offers four main title capitalization styles: Chicago style, APA style, MLA style, and AP style. You can also set it to Title Case, Sentence case, UPPER CASE, lower case, or First Letter case. So there you have it. These are the tools that help me keep things together and produce content for my blog. Do you use any of these tools? What are some other tools you would recommend? Let me know your thoughts in the comments. As some of you may have read in my Happy, 2018 post, I am now living in Oslo, Norway. 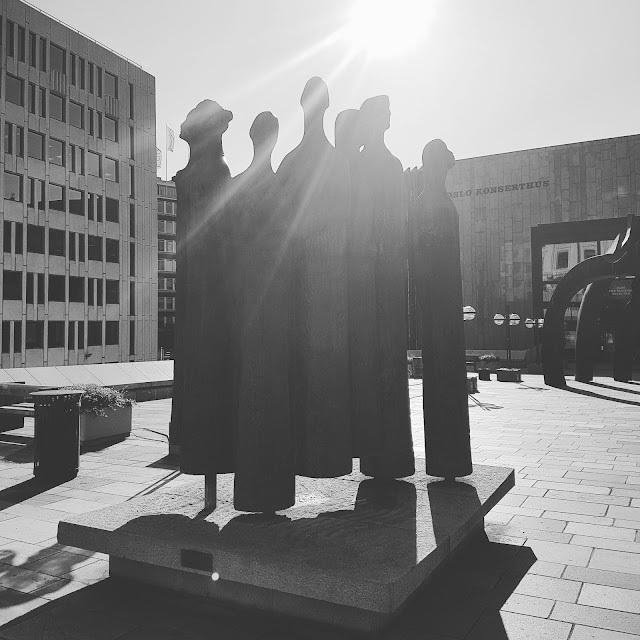 So I wanted to do a quick post to talk about life in Oslo and my relationship to the city. Oslo plays a very significant part in my family's history, and it is kind of wonderful that I am back to calling this city home. This is where the next phase of my career will be, and I am excited to see what comes. For now, I will give you a summary of how life has been so far. A year after I was born, we moved to Oslo so my parents could pursue their graduate studies. We lived in Oslo for seven years before moving to a small hamlet called Haugland on the west coast of Norway. I later came back for visa interviews for college and grad school and a few infrequent visits. It's safe to say that it is a new old place and there is much to be seen. 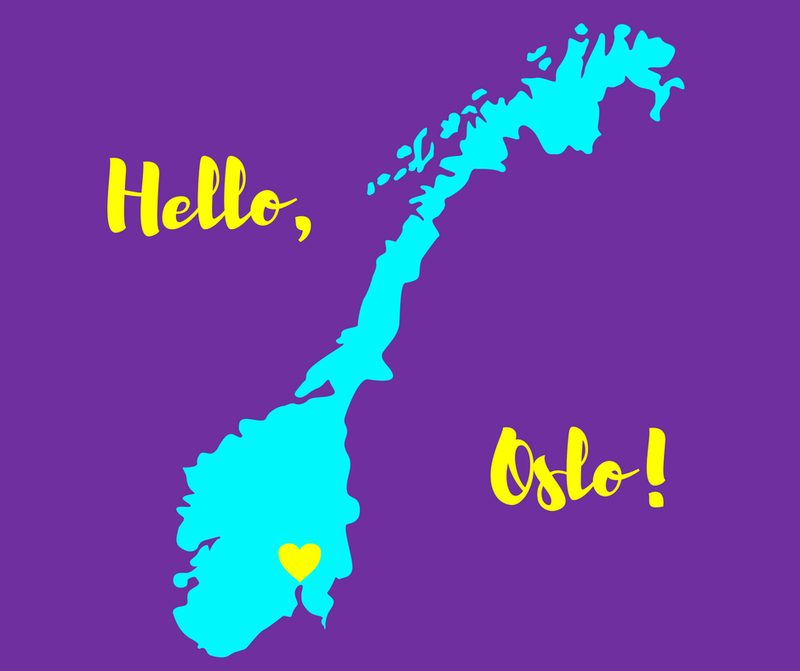 When my sister and I were thinking of moving back home to Norway, we decided Oslo would be an excellent choice because we had already tried life in Bergen as adults and there were more professional opportunities here in Oslo. Also, since we had lived here once before, we thought it would be fun. I must say that even though I spent quite a bit of my childhood here, the city feels very new to me. And other than an occasional bout of Deja Vu here and there, it is nice to have to new place to explore. I started my work life in Oslo volunteering as a digital strategist at Oslo International Hub (OIH) (OIH), an international startup incubator and co-working space which aims to serve entrepreneurs and professionals with an international background or mindset. OIH offers networking, pitching, and training programs for people who want to learn how to start a business in Norway or expand into the Norwegian market. I helped OIH with a website relaunch and social media management. Visit the website or follow them on Facebook and Twitter to learn more about them. I currently work at an inbound marketing agency called Inbound Norway. We are a HubSpot Platinum Partner agency, and we help clients meet their business goals. We achieve this by creating strong and engaging content that attracts visitors, converts them to leads, closes them into customers, and delights them into promoters and ambassadors. We ensure that our clients are meeting their potential customers at the right place, at the right time, with the right kind of information. See what I did there? I just walked you through the basics of inbound marketing! If any of that sounded interesting, check my blog post, What HubSpot taught Me, or visit the Inbound Norway website learn more about the basics of Inbound marketing and maybe even get certified. OK, back to working in Oslo. Thanks to Inbound Norway, I am going through another growth spurt of learning in my training and onboarding. I am acquiring knowledge and experience through certifications and the practical hands-on work with my clients. Everything we learn, test, and do is to ensure that our clients achieve their goals and get the best results. After a 4-month break over the summer, my work in Oslo has rekindled my fire and passion for digital marketing. If you have followed me for a while, you know that one of the ways I like to learn and develop my skills is through association meeting and presentations. They are a great way to learn from and connect with industry professionals. One organization that I have found so far in Oslo is Markedsføringsforeningen i Oslo (MFO) or the Marketing Association in Oslo. I have been to a couple of MFO events so far, one of which was a presentation about inbound marketing and HubSpot (I know, I know. I'm kinda obsessed). I am looking forward to attending more of these presentations and finding other spaces to learn from industry peers. Oslo is a lively city with lots of culture and opportunities to have some fun. There are plenty of cafés, restaurants, and museums to visit. Some of our favorite cafés to visit are Kulturhuset, Peoples and Coffee, and Mocca with. They have incredible beverages and pastries, and cozy places to sit and work if you need a change of environment. With regard to the cities many wonderful eateries, our latest obsession is a place called Ti Punch, owned by a friend of mine that has Guadalupan food. We've also grown quite fond of Mathallen, which is a food hall that hosts pop restaurants and cooking classes. We have so much more to explore on the food and beverage front. I am so excited. We get lots of musicians stopping through Oslo on their tours, which is fantastic. And if they are not stopping by here, it is an excellent excuse to travel to one of our neighboring countries. 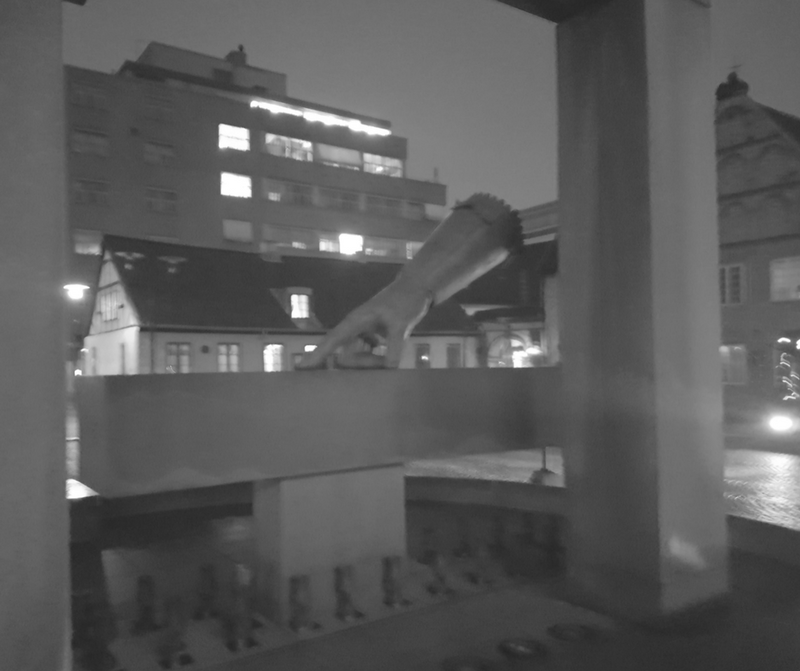 In November, we went to Denmark to see Moses Sumney and Tawiah in concert. If I could convey how magical the night was, I would, but my words would fail me. In September, we got to see J. Cole, Ari Lennox, EarthGang, and JID here in Oslo. We are excited to see who comes to our new home next. Then there are the museums! We have the National Gallery here that is free on Thursdays and has a whole room devoted to Edvard Munch, as well as paintings sculptures by artists like Matisse, Picasso and more. There is also the renowned Vigeland Sculpture Park, the Nobel Peace Center and many other exciting cultural spaces. Well folks, that a quick summary of life in Oslo so far. Since I have only been living in Oslo this time around for about six months, and have been job searching and working for a lot of that time, I have not explored too much yet. But once we move out of the (very) cold winter season and into the warmer months of spring and summer, there will be more to share. Meet Amiri Brotherson, Content Marketer and Project Analyst. Amiri Brotherson is a content marketer and project analyst with an interesting career journey to his current role. He works as a Project Analyst at U.S. Bank and started his career there as a Wealth Management Product Marketing Intern. During his MBA studies, he worked as MBA Marketing Intern at GN ReSound. 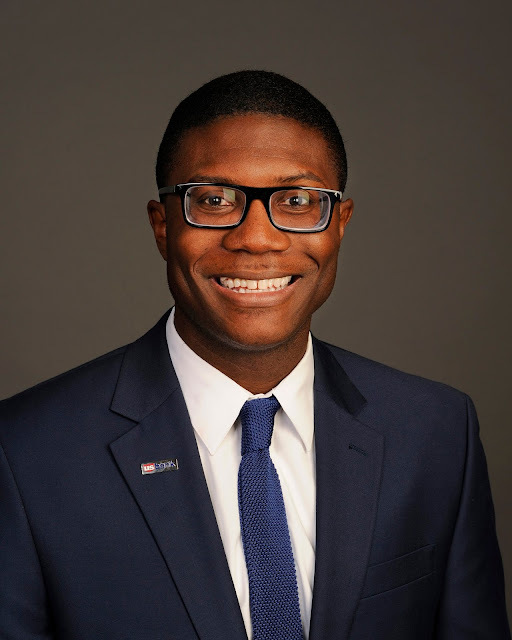 Before embarking on his MBA journey and working at U.S. Bank, he was a Student Financial Aid Counselor at Regency Beauty Institute and an Academic Advisor and an Advising Engagement Representative at Capella University. Amiri got his MBA at University of St. Thomas (where I met him. Go Tommies! ), with an emphasis in Marketing and Analytics and a Bachelor of Science in Psychology from the University of Minnesota - Twin Cities. He is a Certified Professional Project Manager and won an award for Best Present at the Fiat/Chrysler case competition at the National Black MBA conference. He is a Rights of Passage Mentor for Jack and Jill of America, Inc., and was a Mentor for Big Brothers Big Sisters of Central Minnesota and a Trustee at Fellowship Missionary Baptist Church. I am a project analyst with the Wealth Management Marketing team at U.S. Bank. Projects are usually assigned to me requesting my assistance with completion for the team. It should come as no surprise, but there is no typical day working in Marketing. My team is responsible for all marketing content and collateral that is distributed to Wealth Management clients and prospects of the bank. This means that we review and update all current content and create new pieces as well. In addition, we also perform competitive analysis on the bank's competition. Since U.S. Bank is a financial institution, we are subject to heavy regulation. We have to be constantly vigilant with our content to ensure we are meeting compliance and legal guidelines while conveying a persuasive message to our clients and prospects. I love learning about other people’s experiences and perspectives. This is why a career in marketing was a natural fit for me. Marketing is more than just convincing people to buy a product. It's about understanding ALL the needs that the product solves. To do that, we need to be willing look at problems from another's person's perspective. This sometimes involves challenging your own assumptions about the consumers you serve. What do you find most challenging about being a Project Analyst? The most challenging part of my role is managing expectations from other departments that have marketing requests for us. People often come to us at the last minute hoping we can quickly "whip something together" for an event and sales campaign they have coming up. While this is inevitably part of being in marketing, we have to carefully manage people's expectations of what can be done in a short period of time. I have pulled off some amazing last minute flyers and posters, but I prefer that not to be the norm. What do you find most enriching about being a Project Analyst? There are 2 things I find most enriching about my role. The first is seeing a project through to completion. My role is similar to a project manager, as I can be responsible for multiple projects at one time. However, I am responsible for completing most of the milestones in those projects. I have few resources to which responsibilities can be delegated. All minute details must be investigated and completed by me. The second thing I enjoy is creating something from nothing, A lot of requests I receive start by saying, "we need a flyer/poster for.....". From there, I have to make sure that flyer/poster captures the right tone and message that will resonate best with our clients. How did you find yourself on a marketing career track? My senior year of undergrad, I got an internship with a Marketing agency. I saw an ad looking for campus representatives for the Ford motor company. We held several events on campus to spread awareness of the student discount they were offering students. This was particularly difficult since my school had a no-solicitation policy. I became really creative at hosting events that did not violate this policy. From that point, I was hooked. I knew I wanted to be a marketer. I decided to get my MBA in marketing to thoroughly understand traditional and new age techniques. Words of advice for anyone who wants to pursue a career in marketing? You don’t have to have an advanced degree to do marketing. Everyone is a marketer is a sense. If you have bought something and ever stop and paused on why you should choose one product over the other when they’re essentially the same, that’s marketing. When you question why they price things at $4.99 instead of $5, that’s marketing. If you’re interested in that, then this may be a career path worth pursuing. One thing to keep top of mind is that marketing is not all vainglorious. You don’t get to spend all your time coming up with witty slogans and commercials. There is a fair amount of project management and administrative work that has been done. To learn more about Amiri's career journey and his philosophy on marketing, visit his LinkedIn page. Happy New Year! I hope you are all having a great start to the year. Thank you all so much for continuing to follow my blog and my journey. My hope is that 2018 will be a year we all do something big or small we have always wanted to do for ourselves, whether it is going to bed earlier, doing your laundry more often, starting a blog, traveling, you name it. Feel free to share some of your goals for this year below. Maybe we can hold each other accountable. I guess that means I have to tell you some of mine too. Well, I will do so in a minute. First, I want to recap 2017 quickly. I started 2017 working two part-time jobs and taking evening classes for my Digital Experience Certificate. I was still hopeful to some degree that my fledgling career would change course in the US, but alas it didn't. Be sure to check out my Farewell to Minnesota post. In May, I came back home to Norway and continued my job search, networking, and learning. After spending the summer in my hometown of Haugland in the municipality of Fjaler, I moved to Oslo with my sister to explore our opportunities at the end of July. In August, I went for my first marketing association meeting in Oslo at MFO (Markedsføringsforeningen i Oslo) about HubSpot, where I met some ladies I didn't know at the time would be my future coworkers. More to come on that. In September, I started volunteering at Oslo International Hub, helping them with a website revamp and social media management. In November, my friend Emily DeLozier came to visit me from the US, which was fun. In December, my dreams came true and I started working as an Inbound Marketing Consultant at Inbound Norwa. I have a post coming next week that will detail my life in Norway so far. My blogging was very sporadic in 2017. It was due to all the uncertainty and stress in my life then. Now that things are a bit more settled, I am determined to stick to my 2 posts a week schedule. 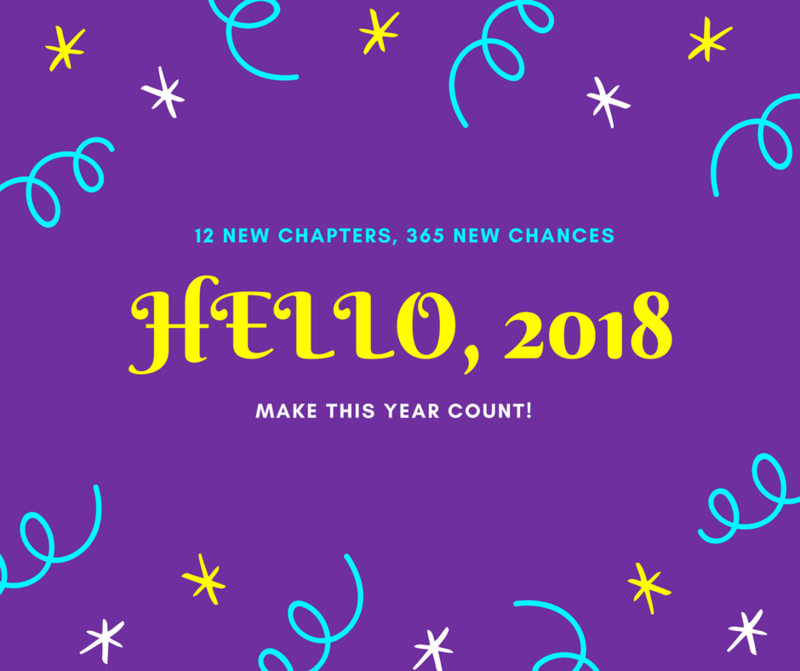 My most important goals for 2018 are taking care of myself, spending time with family and friends, killing it at work, reigniting my hobbies, traveling, and blogging more. I want to come out of this year being healthier than I have been for a while. I want to make time to really disconnect from my buzzing thoughts and enjoy the present more. I want to truly reconnect with the people love and really be there for them. I want to excel in my career and help others do so too. I want to explore more of the world. I think the world needs more of us to take care of ourselves and those we care about. This year, I will continue interviewing marketers in various fields to explore their career paths and any advice they can share with up-and-comers or career changers. I will also be expanding on the Social Media Marketing Platform series and the Measurement series. There are also some new certifications that I will be taking and reviewing for your perusal. I will also be reprising the Grow Your Skills With... and 5 Ways to... series. Now that I am in a new city, I will be exploring marketing events and conferences in Norway and Europe, and hope to share some recaps with you. 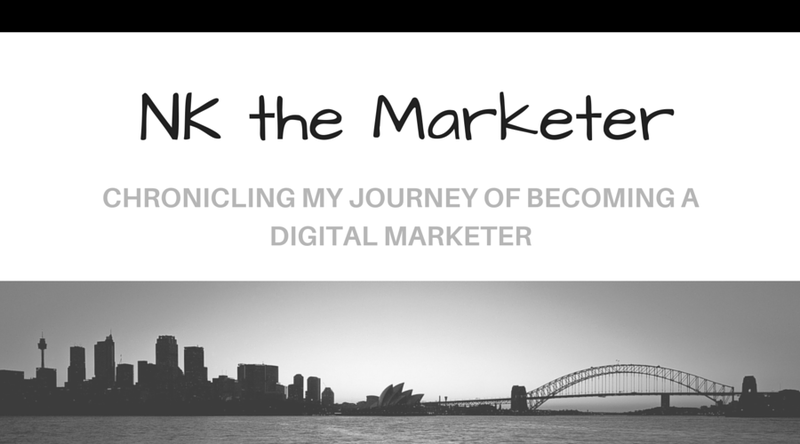 If there are any topics you would like me to explore or dig deeper on, please comment below or email me at nanak@nkthemarketer.com. I found yet another notebook from Quotable Cards (I know, I have a problem! 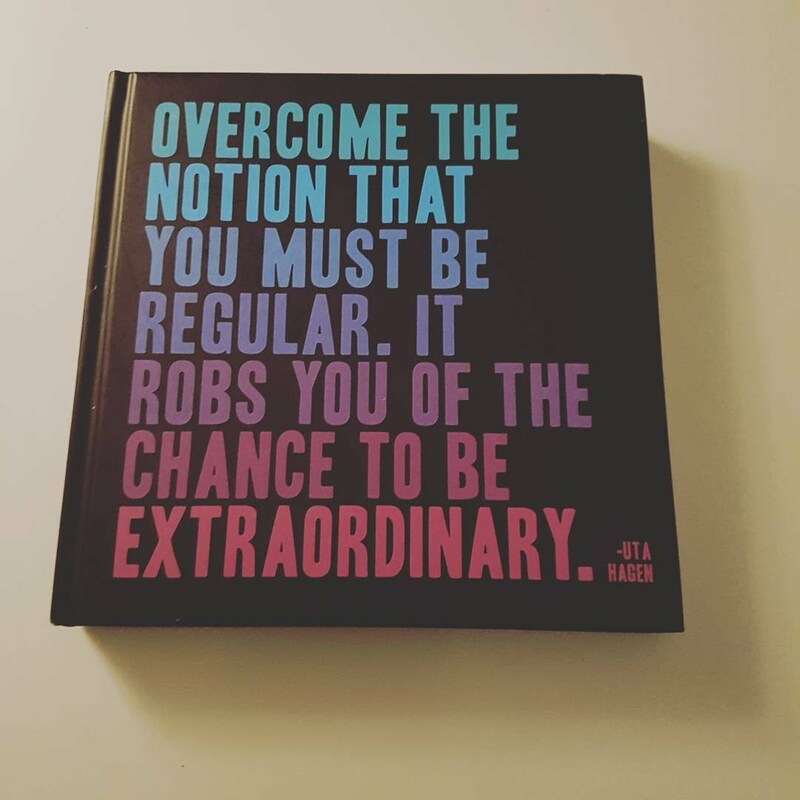 ), this time with a quote by Uta Hagen and I think this will be my motivation this year: "Overcome the notion that you must be regular. It robs you of the chance to be extraordinary." Here's to getting out of our way and doing what we need to do to be extraordinary. How do you write a deserved tribute to a place that has shaped you through both sweet and tough love? A place that has given you amazing experiences and friendships? A place where you endured so many ups and downs? It's been about 8 months since I left Minnesota, and I am finally able to write the tribute it deserves. I spent the past 4 years schooling, working, and living in Minnesota, in the Twin Cities to be specific. I first lived in Minneapolis for three years and then in St. Paul for a year. I was a full-time MBA at the University of St. Thomas for two years and worked in a few marketing positions for another two years after graduation. I was able to nurture and grow some existing friendships and develop some new ones. I had some really amazing times and some rather low valleys. Through it all, I realized that the Land of 10,000 Lakes will always have a special place in my heart. I met Minnesota 11 years ago when I landed at Minneapolis/St. Paul Airport on my way to Luther College in Decorah, IA. At the time, I didn't know that the state would have such a profound impact on my life. During my junior year of college, I visited the University of St. Thomas, spoke to an admissions counselor, looked around the campus and fell in love. I would however not have a fully committed relationship with the state and with the university until another three years had gone by. Before that, in addition to landing at the airport on my way to and from Luther, I visited friends at Macalester College in St. Paul during breaks, until I graduated. I had no idea that my sister would be a student there 2 years later and that I would be spending a large part of my time there. Post graduation, I visited The Cities every year to see friends. How I didn't realize this was where I would end up for a while is beyond me. But sometimes, a good thing can be staring you right in the face, and you may not be able to see it until the time is right. My time at St. Thomas was life-changing. I came in thinking I was going to focus solely on entrepreneurship. Then somewhere along the way, I remembered that I also had a love for marketing. That love morphed into a passion for digital marketing. I started working towards a career in the marketing field, picking strategic classes that I knew would give me the opportunity to interact and work with real-life clients. In addition, I started finding courses and certifications online to hone my marketing skills and learn what at the time was not being taught in the classroom. You can find a list of some of the course this blog post. During the MBA program, I had two summer internships, as a Marketing and Digital Strategy Intern at the American Academy of Neurology and as an MBA Marketing Research Consultant at the Forum for Workplace Inclusion. I then worked as an Integrated Marketing Communications Consultant for the AMA Alliance, the spousal network for the American Medical Association, a Project Coordinator/Market Researcher for Neka Creative, a Marketing Consultant for the Graduate Business Career Services office at St. Thomas, a Market Researcher for the Executive Education office at St. Thomas, a Digital Marketing Consultant at LeGen Leaders, and a Web and Social Media Specialist at the Opus College of Business at St. Thomas. I gained a lot of experience that has equipped me for my current role. Thank God for the journey. It was interesting but made me who I am today. Remember how I said I had some valleys? Well, I am not going to linger too long on this, because the past is the past. I had some naysayers cross my path in my 4-year stint in Minnesota. Rather than let their words determine my destiny, I decided to surround myself with mentors who would give me constructive feedback and direction. Now don't get me wrong, I am not saying don't listen to feedback. You just have to make sure it is constructive and builds you up, rather than tear you down and discourage you. I was very fortunate to find people who took a chance on me, nurtured me, and allowed me to grow my craft. Though I cannot mention them all by name, I would like to single out the following organizations: the marketing team at the American Academy of Neurology, the marketing and Executive Education teams and the career services office at the Opus College of Business at the University of St. Thomas. My sister, friends, and I spent a lot of time exploring parks, concerts, museums, galleries, and eateries. I know many people think the Fly-over States don't have much to offer, but the joke's on them. We got to see Lauryn Hill, Corinne Bailey Rae, Ibeyi, Lizz Wright, Lianne La Havas, Yuna, Bosco, ZuluZuluu, Fela Kuti, Bernhoft live, just to name a few. We got tickets to see movies before they premiered. Thanks to my awesome sister, I got to meet wonderful people like Mama Nikki Giovanni, Papa Haile Gerima, Uncle Gary Hines, and Big sis Danai Gurira. Shout out to Macalester College students and alumni for making me feel like a Scot. We used to take walks around The Cities, exploring paths along the Mississippi River, discovering paths and trails we didn't know existed. We walked around lakes and got to know each other better, having all sorts of conversations. We even went on road trips within Minnesota and to other states, to places like Mankato and North Field and Rochester and Decorah and Mount Rushmore and the Crazy Horse Monument and Devil's Tower and Yellowstone and on and on. We ate at so many places during the four years, but few places could match the delicious global delicacies Grand Ave in St. Paul had to offer, including Vietnamese Pho, Indian Keema Naan, Falafel and Mint tea, Afro-Latino inspired Rotisserie Chicken and Yellow Rice, and the best Thai Green Curry money could buy. Now, lest you think Minneapolis had nothing to offer in the culinary arts, she too would show off with amazing eateries dotted along Eat Street and Hennepin Ave. Cafés, brunch spots, and some of the best Bandeja Paisa I have ever tasted, Oh, and I must mention my beloved Fogo de Chao. I could write so many posts about just the food alone. Throughout all these experiences, the ups, the downs, Minnesota was my home base and refuge for four wonderful years. And so I say with a heavy heart, farewell for now dear Minnesota. I am sure our paths will meet again soon 💜. Stay tuned for an update of what I am doing now in a couple of weeks.